One of the best perks about doing a travel show is that you get to go to some really cool places you would never in a million years have known about (conversely, one of the downsides is that you sometimes have to go to really obscure places that you would never in a million years have ever wanted to know about ~ take it from me). 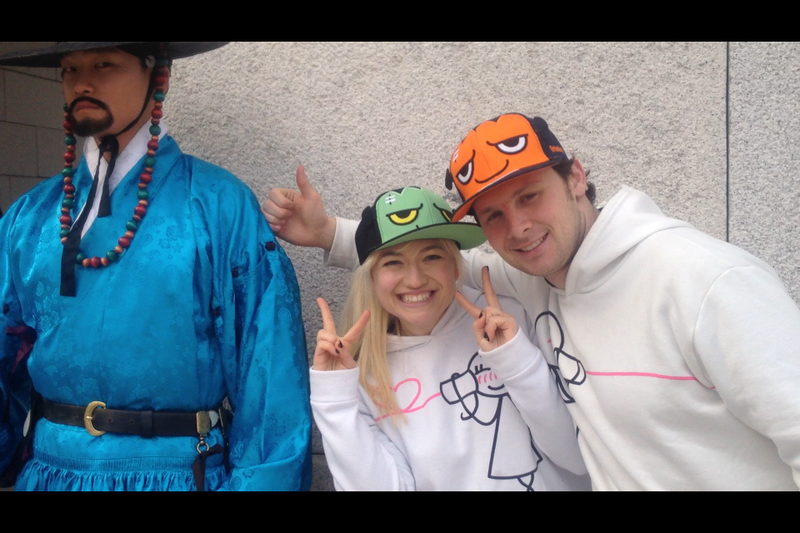 Luckily, last weekend while filming for the KBS2 travel show Go Go Korea (고고코리아 황금발!) I was fortunate enough to have the opportunity to explore a cave of white jade in Chunchon! 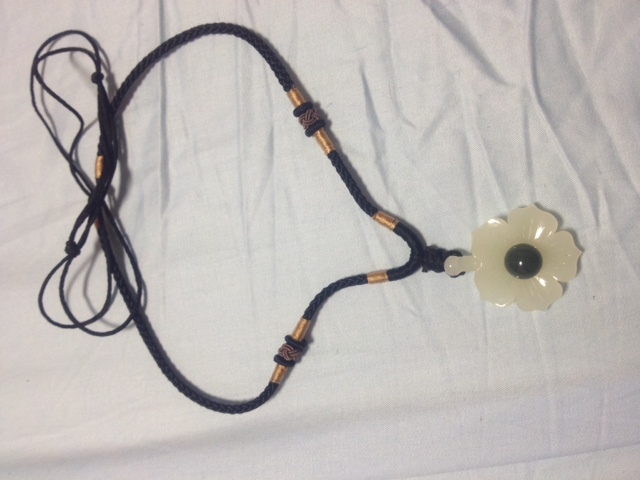 Jade is traditionally a really highly respected stone in the east. 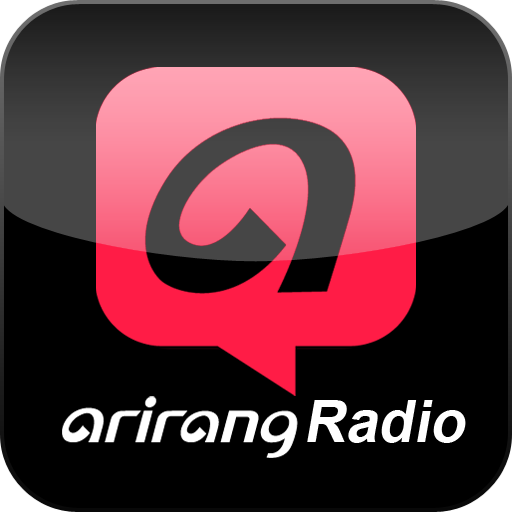 In Korea, it’s the symbol of royal authority and it was used for the royal seal. It’s supposed to help in bringing about a long, disease free life and so it has nicknames like the divine stone （紳石）and the spiritual stone（靈石）. 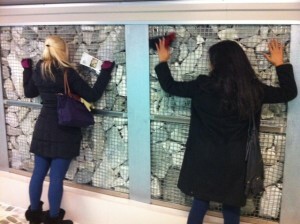 The next picture is of Maha and I attempting to soak up the energy (기운) from the jade! I know I’m getting all new age-y on you here, but I could really feel the 기 energy when I was in that cave. I swear I’m not being that crazy person who goes on about all of her crystals and stones and the positive vibes! After an hour or so surrounded by all of that regal stone, my head was really fuzzy and I felt kind of overwhelmed. Scientifically, it’s supposed to have something to do with all of the negative ions that jade emits. 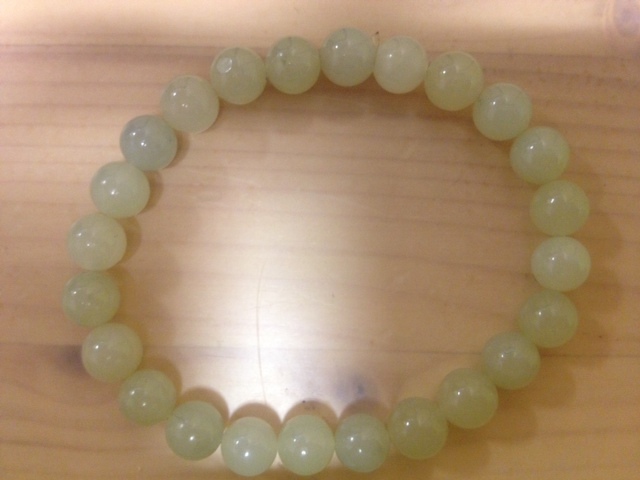 Traditionally, in eastern medicine, jade is credited with all sorts of health benefits, like helping you get a sound sleep and being great for your heart if it’s near your chest. I don’t know if it’s true, but like I said, I was certainly feeling an effect in that cave. Either way, when we left the cave, I decided to take a look at some of the jewelry that was for sale and I found a beautiful necklace that I fell in love with and had to have! It’s gorgeous, right? 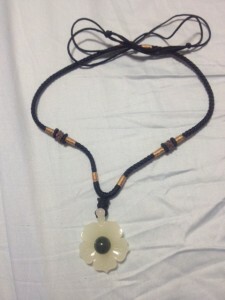 I love that I have a beautifully carved jade flower around my neck! Now that I have jade near my heart I can live forever! MWAHAHAHAHAHA! If you’re in Chunchon, I recommend checking out OK-SAN-GA (玉山家）Jade. I finally had a line in a Korean Drama ~ 보고싶다!